From our Center Street location close to the Passaic River, the Law Office of David Jay Glassman serves clients in Newark and throughout Essex County. If you’ve been arrested, you face intense prosecution in state or federal court, demanding a defense that is up to the task. We are prepared to protect your constitutional rights and defend your freedom through aggressive defense advocacy that challenges police procedures and the evidence against you. 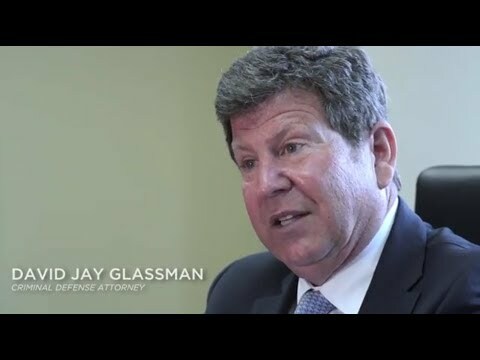 For more than 35 years, Mr. Glassman has practiced in criminal court, earning a reputation as a top-rated criminal defense lawyer. After serving as a Deputy Attorney General in Pennsylvania and a Prosecuting Attorney for Atlantic County, New Jersey, David Jay Glassman brought his skills to the defense side. You can trust him to fight for the best possible result under the facts of your case. New Jersey’s largest city has about 280,000 residents and boasts numerous cultural amenities, including the New Jersey Performing Arts Center, Newark Symphony Hall, the Prudential Center, and the Newark Museum. It is home to the corporate headquarters of numerous leading U.S. companies, such as Prudential, Panasonic (North America), Audible.com, and PSEG. It is also the site of one of the busiest airports in the country, Newark Liberty International. Despite these attractions and attributes, Newark has never been able to shed its reputation as an urban crime center. While overall crime in Essex County declined by eight percent from 2013 to 2014, according to statistics from the New Jersey State Police, police throughout the county still made more than 32,000 arrests in 2014. Drug crime arrests featured prominently, with more than 5,600 arrests for illegal possession. The legal consequences of a conviction can last a lifetime. Make the right choice now and retain a proven defense lawyer who is determined to deliver the advocacy you need. If you are facing prosecution for a state or federal crime in Essex County, the Law Office of David Jay Glassman is determined to protect your rights. To schedule a free initial consultation, contact us online or call 866-221-1270. We are conveniently located at 1 Center Street in downtown Newark, just a few blocks east of the Prudential Center and south of NJPAC.